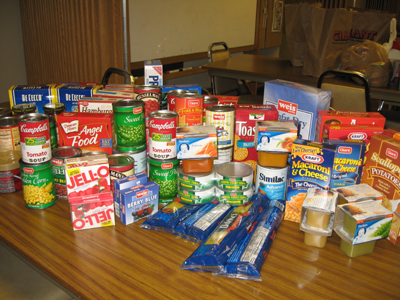 St. Paul’s organizes drives for donation of non-perishable food items for the local food bank. Recently, the congregation was challenged to compete via two separate ‘home rooms’ – the first ‘room’ for those whose last name begins with the letters A – L and the second ‘room’ for those whose last name begins with the letters M – Z. 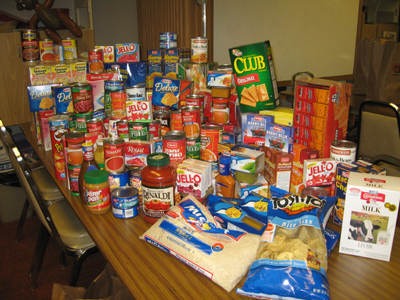 The food drive was a success, with the local food bank being the clear winner!